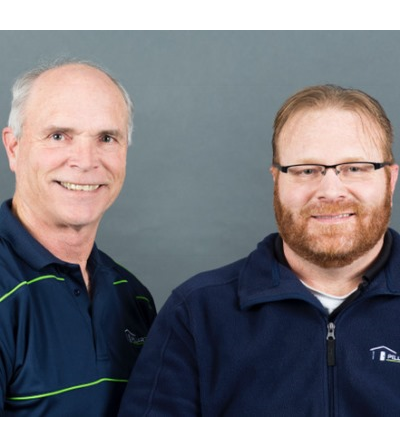 Pillar To Post has grown to be the largest home inspection franchise in North America through maintaining stringent requirements, continued education and offering clients varied types of inspections to fit the needs of the client. Pillar To Post offers 3 packages of inspections plus other ancillary services recognizing “One size or program does not fit all needs of a client” – Click here to learn more. Buying a home is one of the largest investments you will ever make. Having a Pillar To Post home inspection will bring you the confidence and knowledge you need to make an informed decision. EXPERIENCE – We have been inspecting homes in South Eastern Idaho for over 10 years. We have inspected over 3,000 homes. Pillar To Post requires we have continued education to maintain our certification. INSURANCE – Pillar To Post requires that inspectors maintain an Errors and Omission policy of $1,000,000 along with liability coverage. Because we offer other ancillary services beyond just that of home inspection we also carry riders to cover Mold, Radon and Asbestos testing. CERTIFICATION – With Pillar To Post we are required to be certified with either the National Association of Home Inspectors (NAHI) or American Society of Home Inspectors (ASHI). There are other National organizations, but these two are the only ones that have met the stringent requirements of Pillar To Post. In addition to being certified with NAHI, we have certification in these other areas. RADON TESTING: Certified as a radon proficiency tester with American Association of Radon Scientists and Technicians (AARST). We also use Sun Nuclear; EPA approved calibrated continuous radon monitors. These monitors are state of the art and take hourly readings and show if they have been tampered or moved during a test period. They also must be recalibrated each year to be certified for real estate transactions. MOLD TESTING: Certified through the program developed by the University of Utah, Rocky Mountain Center for Occupational and Environmental Health under the University Department of Preventative Medicine. ASBESTOS TESTING: Certified through the program developed by the University of Utah, Rocky Mountain Center for Occupational and Environmental Health under the University Department of Preventative Medicine. THERMOGRAPHY: Certified Level I Infrared Interpretation for Building Applications, The Snell Group. For the buyer, an inspection will help you make an informed decision. It will familiarize you with the major systems of the home and how they operate. It will also provide you with the information you need for any maintenance or repairs your new purchase may require. For the seller, a pre-listing inspection can detect previously unknown problems or potential upgrades that you wish to address prior to selling your home. By identifying problems that could stall a future offer or sale, it reduces the chance of surprise and complications of future offers. This benefits all parties for a smoother transaction. Even if repairs are required, we can make recommendations for improvements that could help speed up the sale.